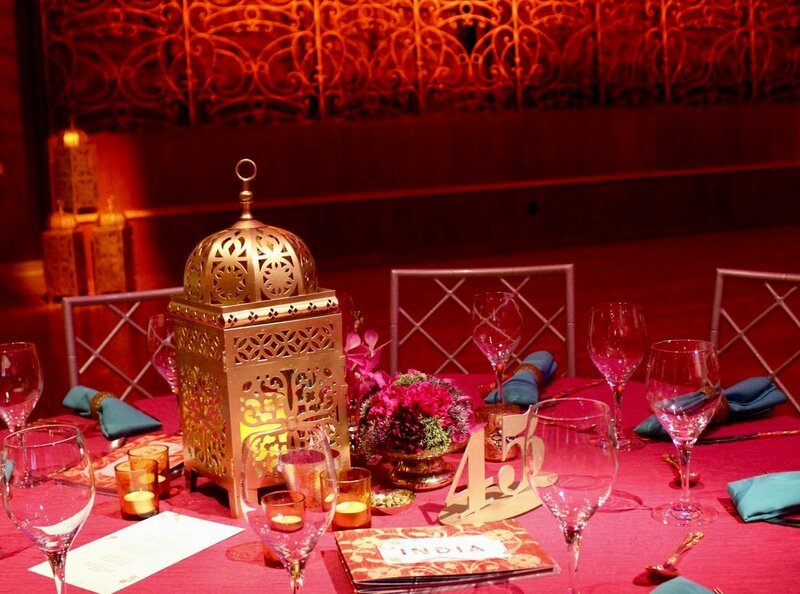 Cincinnati Art Museum held their fall biennial fundraising gala in the Ballroom of historic Music Hall celebrating their exhibition, The Fabric of India. 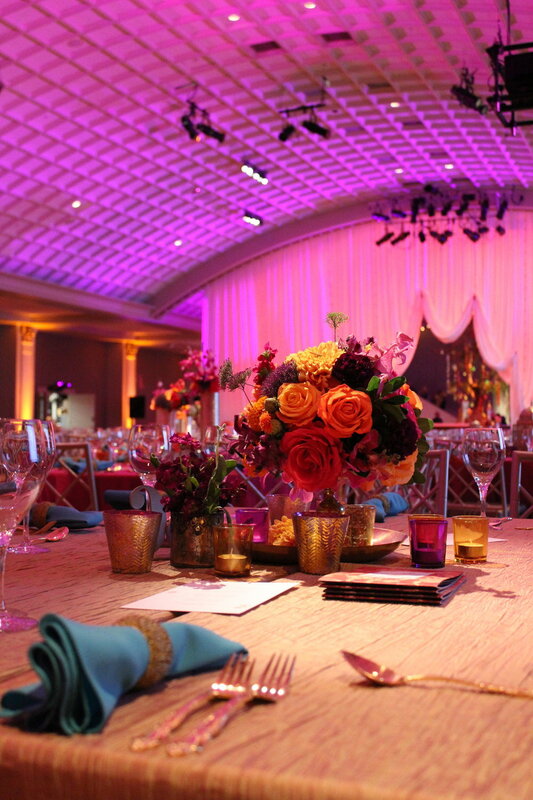 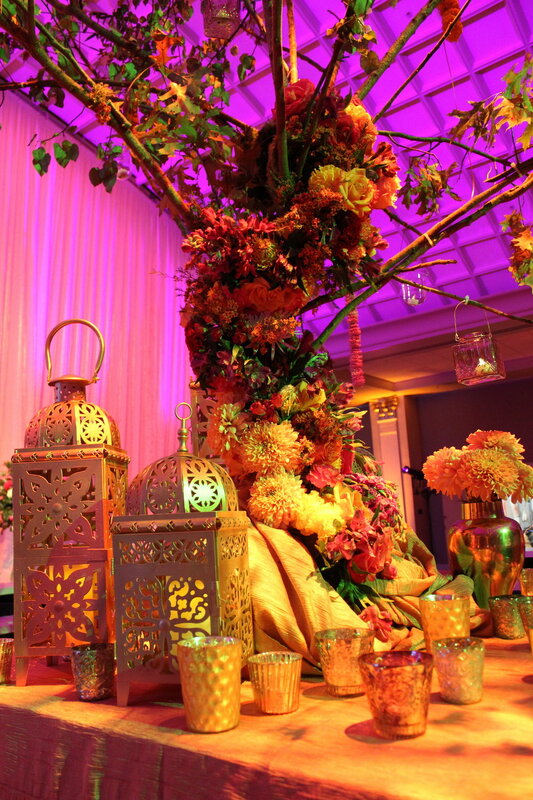 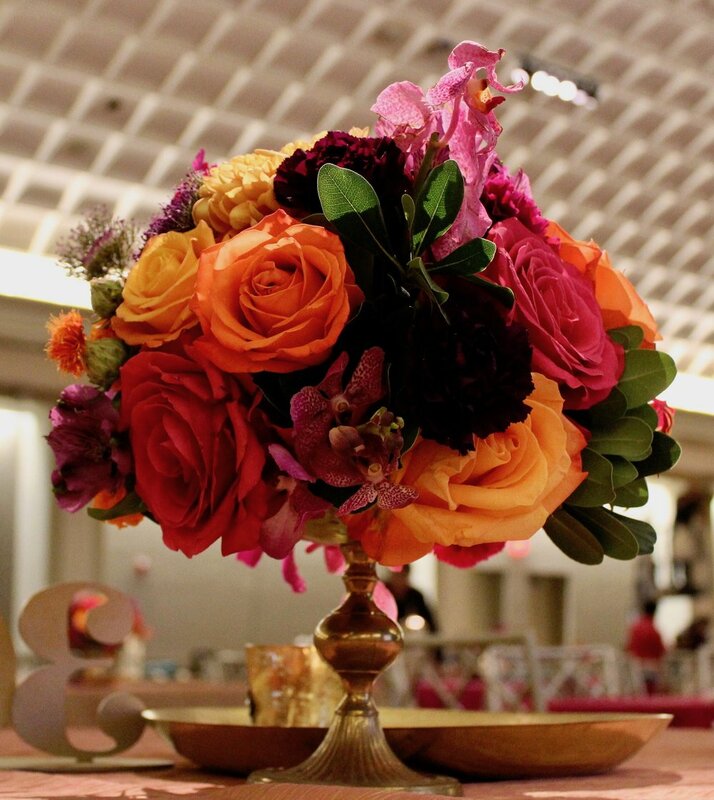 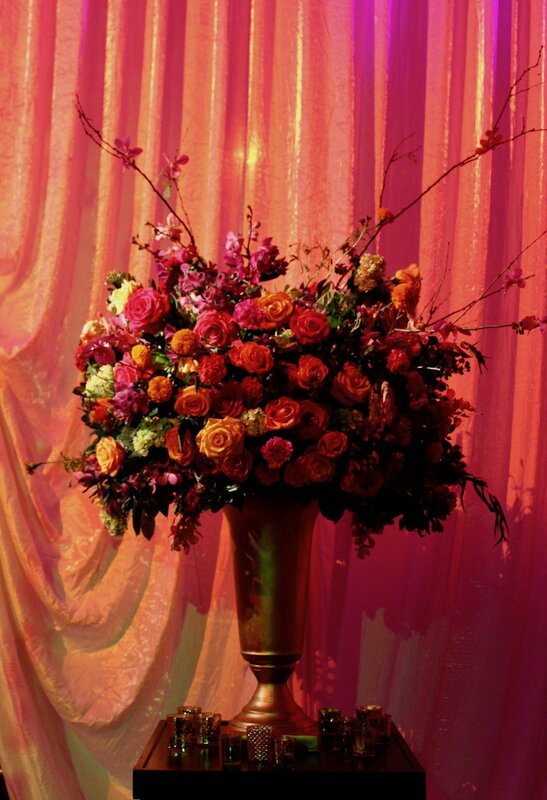 Working with the events team of the Cincinnati Art Museum, we created a luminous and inspired atmosphere that included a living tree hung with marigold, orchid, and rose. 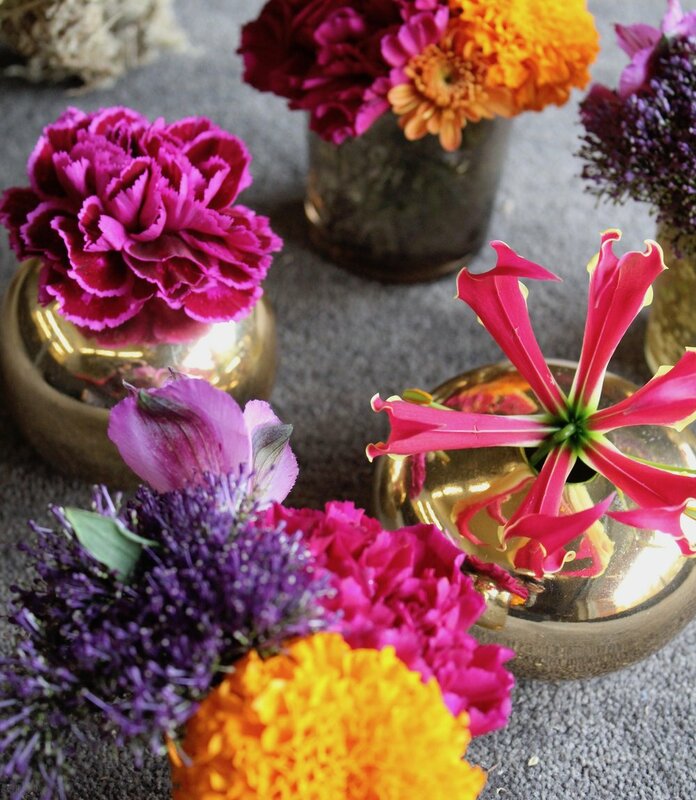 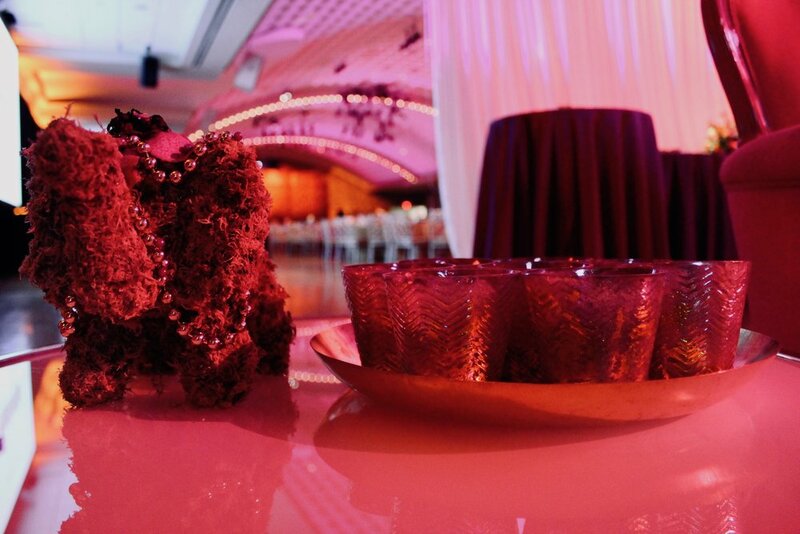 Elephant topiary were a fun surprise at the bar and lounge areas, we pinned their mossy bodies with green and saffron chrysanthemum, and deep purple orchid. 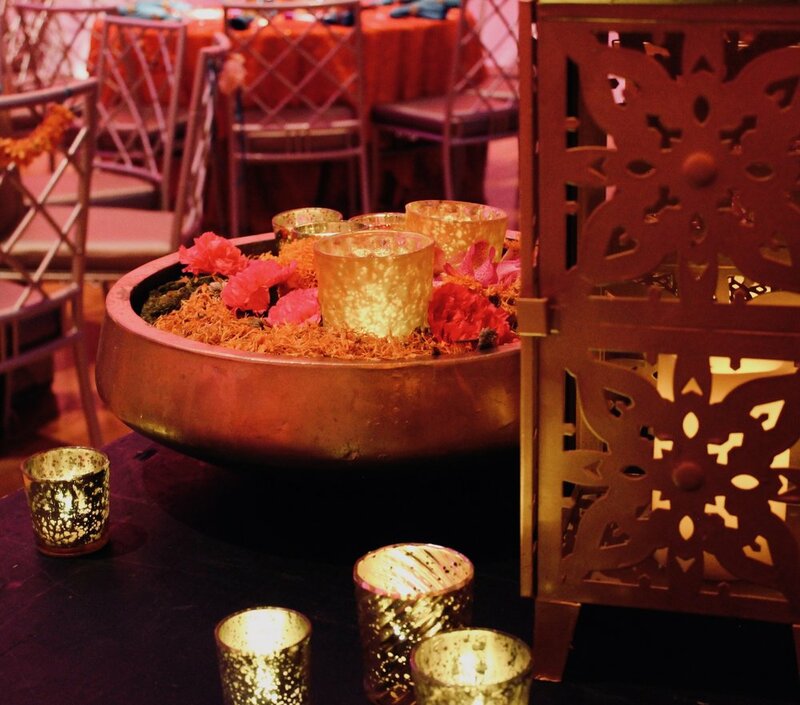 Round gold and glass bud vases, brass trays with small bowls of seeds and petals, and gold lanterns made each table setting unique.